Composting. You hardly ever heard of the word ten+ years ago and now its common language among all the gardeners and Green communities, even schools are practicing composting. I’m sure you’ve seen hundreds of photo’s and techniques along with reasons why to compost, and this story isn’t any different except that it’s my story and I wanted to share it with you. There are millions of reasons why to compost and I can’t think of one as to why you shouldn’t. If you’re worried about smell, there’s a product for that. If you’re worried about space, there’s a product for that. If you don’t have a garden or plants to use the compost for, there’s a product for that. If you’re limited on time, there’s a product for that too. See??? I can’t think of any reason not to. so why isn’t everyone doing it?? Honestly, I don’t think the general populace knows how easy it is and the true value of what composting would mean for our environment not to mention our gardens. Composting solves a couple of major problems (in my humble opinion) in the world, just ask me I can fix anything! Compost (/ˈkɒmpɒst/ or /ˈkɒmpoʊst/) is organic matter that has been decomposed and recycled as a fertilizer and soil amendment. Compost is a key ingredient in organic farming. At the simplest level, the process of composting simply requires making a heap of wetted organic matter known as green waste (leaves, food waste) and waiting for the materials to break down into humus after a period of weeks or months. Modern, methodical composting is a multi-step, closely monitored process with measured inputs of water, air, and carbon- and nitrogen-rich materials. The decomposition process is aided by shredding the plant matter, adding water and ensuring proper aeration by regularly turning the mixture. Worms and fungi further break up the material. Aerobic bacteria and fungi manage the chemical process by converting the inputs into heat, carbon dioxide andammonium. The ammonium is the form of nitrogen (NH4)used by plants. When available ammonium is not used by plants it is further converted by bacteria into nitrates (NO3) through the process of nitrification. In the United States we spend over 14 Billion $$ a year on fertilizer. That’s the number 14 and a LOT of 00000000’s after. WOW! Why? Why do we need fertilizer and why do we need to spend over $14 Billion a year on it? Well, the problem is (disclaimer: I really do not want to keep typing I.M.H.O. 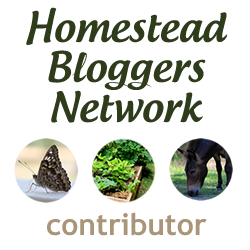 (in my humble opinion) so please make note: this entire blog is in my opinion, please do your own research to prove or disclaim anything I post before applying it to your lives) the chemicals we use on our lawns/soil have stripped it of valuable nutrients that our plants need to survive. So commercial companies have isolated some of the key components that plants need to thrive. The three key main ingredients in commercial fertilizer; Nitrogen, Phosphorus, Potassium. The numbers on the front of the fertilizer bags read something like 10-10-10 or other combinations representing the levels of those three ingredients. THREE ingredients. What about the other couple of thousand; minerals, bacteria, fungi, micro-nutrients, and organic matter found in good healthy soil? That’s just it, you can’t synthetically reproduce all that your soil needs. Just like commercial companies can’t reproduce breast milk . Plants need their milk from their mother, Earth. Not from a store. Our food waste. There is an amazing video about food waste in America that should be a must see for everyone called Dive; Living off Americas Waste (click here to view). In the United States we waste over 40% of the food we grow. Which means we throw away almost 1/2 of the food grown every year !!! Does this not bother anyone else but me? Follow my thinking for a moment and see if you can help me understand the reasoning and explain it to me because I have been unable to wrap my head around the entire thing. The Government (from now on will be refereed to as ‘they’) says we need to grow X amount of food to feed the starving and the nation. Then They say we need to put chemicals on our food to yield a higher production in order to accomplish this without pest damage. Then They say we need to add fertilizer because the pest treatments destroyed the nutrients in the soil (actually they never admitted the chemicals depleted the nutrients so I did it for them). Now we have to grow GMO, genetically modified food to meet our food demand, AND we throw almost 1/2 of it away?????????? <<<< insert angry voice here!! In capital letters, with lots of exclamation points !! They also say that organic gardening practices won’t feed our nation and we’ll starve if we only garden organically. With the amount of food we (the citizens of the USA) throw away in the trash every day could feed every hungry person in America and still have enough left over to help others! Not to mention the enormous waste of water needed to grow all of this food we are throwing away. Our land fills. A couple of things happen when food waste breaks down; without getting all sciency (haha I made a new word) on you when food breaks down it heats up, really hot, like well over 100 degrees. When the food heats up it creates greenhouse gases and green house gasses destroy our ozone layer protecting our planet. Food wastage is the third top GHG emitter after the U.S. and China. So our food waste is the 3rd biggest culprit of Green House Gases in the world!! And there are still starving people?? How to solve the above three problems? or I should say how to do your part in helping with the above three problems? Composting. Composting ? Yes, composting. Here’s why. Back up, rewind. I got ahead of myself. Composting will not help with food waste only we can do that. Here is a great site with tips on how to reduce food waste in your home. Ok, continue. Here is why; If we can divert our food waste from the landfill and add it to a compost pile we can help reduce the greenhouse gas emissions and make an organic all natural fertilizer for our soil for FREE. Wait, what? Yes, if we could all learn to compost we wouldn’t need to spend $14 BILLION a year on fertilizer, we wouldn’t need to spend billions of dollars on pest control because the plants/produce would have a natural ability to fend off predators and disease, our water wouldn’t get polluted with the chemical runoff, the marine life wouldn’t die and life would be rainbows and unicorns for everyone. Do you understand how composting could be beneficial and how you can help the environment with this one simple green change? If not discontinue reading here. In our yard we have; a tumbler, pallet compost bins, worm composting (called vermiculture), and compost tea. Ready to make your composter?? What are you waiting for? 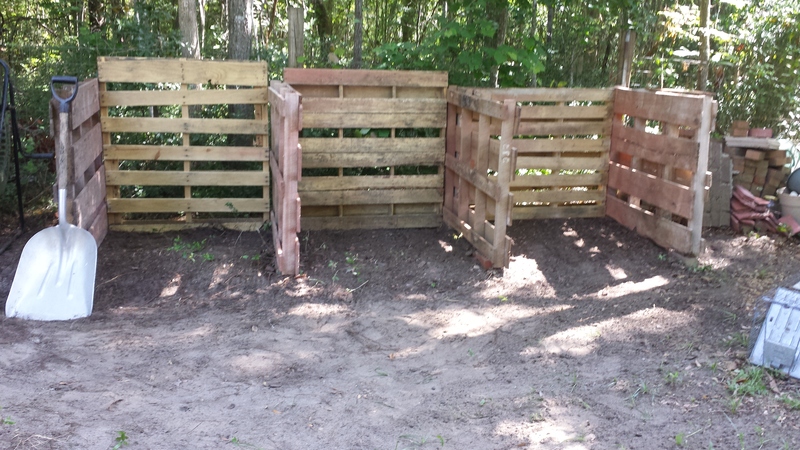 Below is a picture of our free pallet compost bins all cleaned out and ready for a new season. More on how to make your own compost pallet bin in future post. You have a lot of great information here, but some of it is not factual. Greenhouse gasses *do not* destroy ozone, and the ozone layer is not involved in global warming or climate change. Instead, greenhouse gasses in the lowest layer of the atmosphere (the troposphere) keep heat from escaping from the earth out into space. The more greenhouse gasses we produce (by burning fossil fuels, raising livestock and having oxygen-less decomposition in landfills), the more heat is trapped. This is already causing devastating changes in our earth's climate and is a *big* problem - composting can be an important part of solving this problem.